The ABLE MudMaster independently measures flow and density using a development of established measurement techniques to produce reliable, accurate and repeatable real time data. The instrument is spool mounted to bolt directly into the outlet pipe and the non-contact nature of the technologies employed provides no restriction to mud flow, zero pressure drop and no moving or process contact parts subject to wear or requiring maintenance. 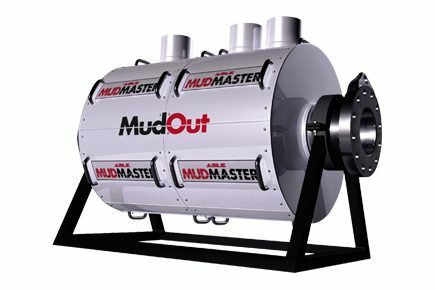 The fully augmented MudMaster Mud Drilling Analyser System incorporates the ABLE MudMaster MudIn High Pressure Coriolis Mass Analyser on the mud inlet flowline for accurate, real-time mass balance measurements with automatic time delay compensation for well depth. View schematic for MudMaster Mass Balance Flow Metering System with integrated MudIn.